Whether you have decided to have a facial to try out or because your skin is screaming out for some well-deserved attention, there is so much to choose from. So how can you determine what you should go for ? There are so many choices when it comes to facials but the one that you choose depends on your personal needs as well as your skin’s needs. The real problem you have is deciding what your priority goals are from your treatment is. Or so you think …. But what if I could tell you that you could you have the benefit of both worlds i.e. one that addresses your skins concerns and gets you results whilst providing relaxation and a treat ! Most facials make us feel wonderful and provide much needed time to relax and be pampered. You could easily think that one benefits you more than others, but you couldn’t be further from the truth as many good quality professional skin care brands offer so much more these days. So, are some facials better than others, and what is the difference? Read on to understand how now you don’t need to visit a clinic to get the best results for your skin. The beauty industry has changed or should I say has returned to its core technology and with it new developments in skincare so you can get the best facial and skin care advice that you and your skin deserves. All delivered in a comfortable & snugly environment, often with candles and the aroma aromatherapy oils offering that feel good factor. This type of facial will get rid of surface skin cells and hydrate the skin whilst relaxing your body & mind. All great news for your skin. Clinical facials work slightly differently. The aim of a clinical facial is to address problems, improve the skin health and prevent significant skin issues. Acne can be helped, rosacea can & ageing slowed down! Many clinics use technologies such as radio frequency, LED, vacuum or cavitation. Often pharmaceutical & medical grade products (Some of which may require prescriptions) are used. Skin needling is also offered to regenerate & smooth skin tissue, stimulate collagen & elastin. Skin peel or often referred to as chemical peels providing the same effect are very popular. BUT … the world of beauty and it’s training has really changed and many beauty therapists have been trained in more advanced techniques to they can offer more advanced options compared to the traditional facial treatment so they you can get even more benefits to your skin. This is your new breed of beauty salon facial that not only uses pharmaceutical grade products but also advanced technology for outstanding results and ultimate skin care and safety. 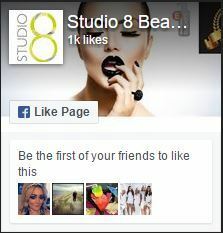 Here at Studio 8 Beauty a clinic is no longer the only place to get fantastic skin results! We invest in education for our expert qualified staff and the highest quality brands that deliver results. We offer products and treatments from skin care brands such as Dermalogica & Mesoestetics who are innovators in the industry offering quality and results. The modern beauty salon facials offer a complete skin journey that utilises technology and pharmaceutical grade ingredients to offer you even more advanced skin results helping you to achieve your best skin ever! We believe that only best results can be achieved from skin that is prepared correctly before treatment. This means you have to do your bit at home. It’s no good having an amazing treatment if you aren’t helping your skin at home with poor products that aggravate the problem. We would start by addressing the inflammation and improving the protective barrier of the skin. This way we know that the highly active ingredients we will use on the prepared skin will not unduly irritate the skin when we do the advanced treatment but instead will produce better results. Skin Peels ( chemical peel). When visiting Studio 8 Beauty for a skin consultation with one of our qualified skin experts, we will assess your skin concerns so that we can advise the best treatment plan suitable for you and your specific skin. You will be amazed at what you can achieve in even a short space of time. So what’s stopping you ? Get your best skin ever by booking a facial that not only addresses your concerns but is carried out by expert professionals that understand you and your skins needs. 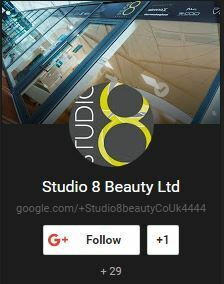 For more information call the Studio 8 Beauty team on 02392 380 692 or email salon@studio8beauty.co.uk.